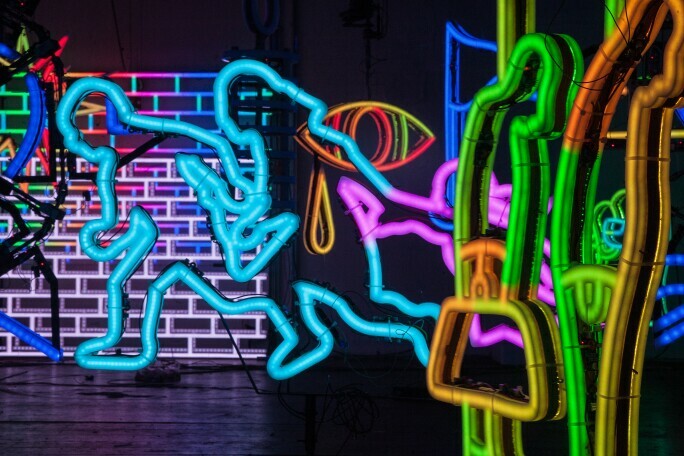 With Art Basel Miami Beach bringing the world’s leading collectors to town this December 6th to 9th, there is a wealth of must-see museum and private collection exhibitions for visitors to take in. Christo and Jeanne-Claude, Documentary photograph of Surrounded Islands, Biscayne Bay, Greater Miami, Florida, 1980-83. Artwork by Christo 198. Photo by Wolfgang Volz. 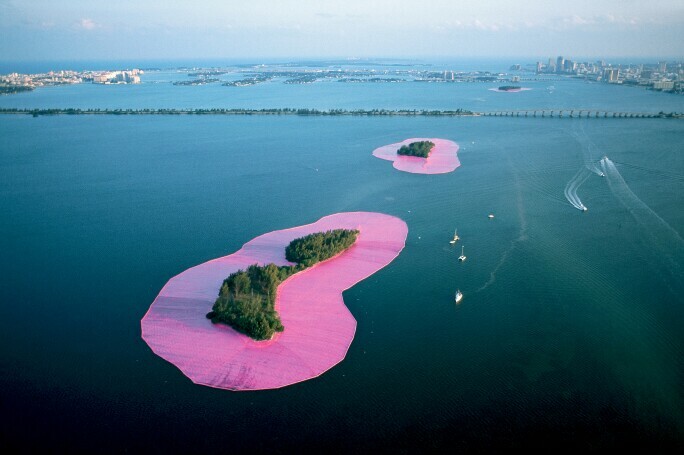 Thirty-five years ago, the married artists Christo and Jeanne-Claude surrounded 11 manmade uninhabited islands in Miami’s Biscayne Bay with 6.5 million sq ft of pink woven polypropylene fabric. To mark this anniversary, the Pérez Art Museum Miami (PAMM) presents Christo and Jeanne-Claude: Surrounded Islands, Biscayne Bay, Greater Miami, Florida, 1980–83 chronicling the project, from conception through navigating local authorities to its waterborne realisation. It was also in 1983 that PAMM was founded in its earliest incarnation as the Center for Fine Arts, and according to a statement, the exhibition “reinforces the idea that the museum’s evolution is inextricable from the development of Miami as both a city and an artistic hub”. José Carlos Martinat, American Echo Chamber, 2018. Image courtesy of PAMM. Also on view is José Carlos Martinat: American Echo Chamber, a new installation by the Peruvian artist José Carlos Martinat, who has transformed the notion of a political echo chamber into a hypnotising mechanical light sculpture. The Haas Brothers, Uma Worm-an, 2018. R & Company, New York and Marianne Boesky Gallery, New York and Aspen. Artwork courtesy of The Haas Brothers and photo courtesy of Joe Kramm. For their first solo museum exhibition, The Haas Brothers: Ferngully, taking place at The Bass, twin brothers Nikolai and Simon Haas take their cue from the 1992 animated children’s film FernGully: The Last Rainforest. 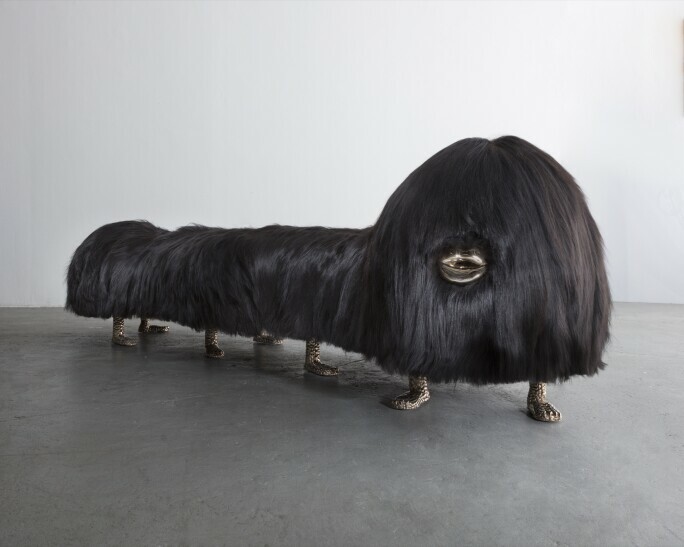 Beasts cast in bronze, covered in shaggy fur and adorned with horns, tongues, feet and genitalia populate the entrance to the museum, which the brothers have transformed into an immersive ecosystem complete with palm trees and copper fronds. To create the palm trees’ intricately beaded date pods, the Haas Brothers partnered with the ladies of Lost Hills in California, a small town largely populated by Hispanic farm workers. Purvis Young, Untitled, 1985-99. 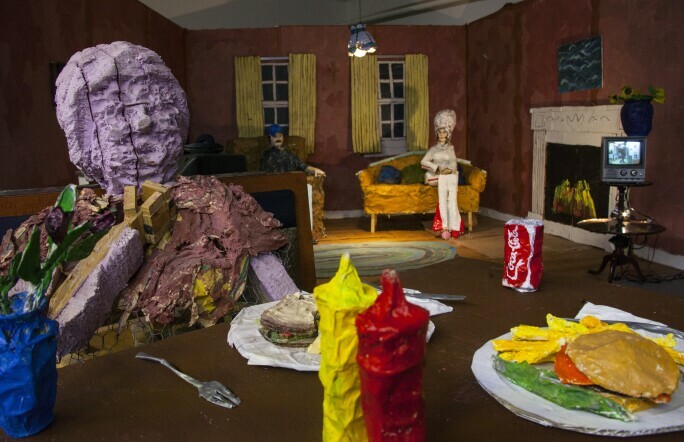 Courtesy of the Rubell Family Collection. 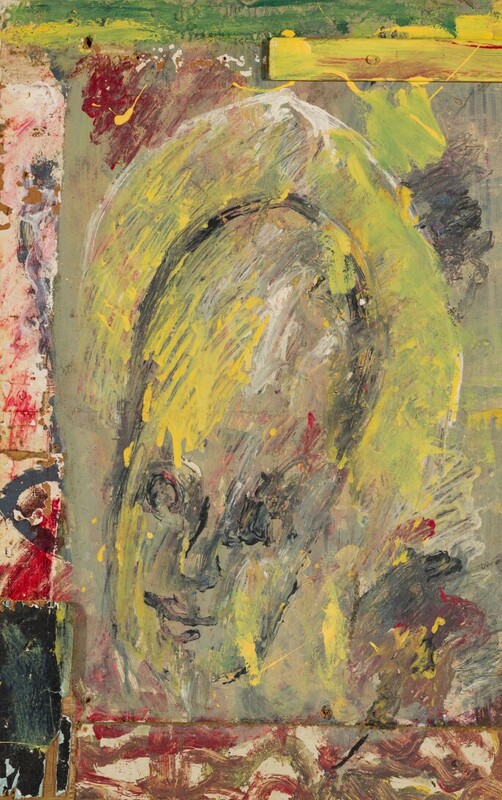 Known for championing cutting-edge, emerging artists, collecting powerhouses the Rubell Family Collection are this year showing more than 100 paintings in the exhibition Purvis Young by the late American self-taught artist Purvis Young, who worked in Miami for his entire life. Relatively unknown for many years, Young’s legacy was boosted recently by the Morgan Library & Museum in New York acquiring several works by from the Souls Grow Deep Foundation, an Atlanta-based collection of African American art from the south. This could be the last exhibition the Rubell family hosts in this current site, the Drug Enforcement Administration warehouse on NW 29th Street, before they open a museum in Allapattah next year. Cate Giordano, Still from After the fire is gone, 2017. Courtesy of the Margulies Collection at the Warehouse. Martin Margulies’s collection of 20th- and 21st-century art is one of the best in Miami, and this year The Margulies Collection warehouse has expanded by 5,000 sq ft, meaning more room for large-scale installations. Among those on show until April 2019 are Barry McGee’s Untitled (Truck Installation with TVs), 2004, featuring a truck on its side, and Cate Giordano’s After the Fire is Gone, 2017, a multi-media installation comprising sculpture, music and video. There are also historical works that alone make the trip worthwhile, including Sol LeWitt’s Eight Unit Cube, 1976, and a display spanning the entire career of US photographer Walker Evans – from his images of Cuba in 1933 to the Polaroids he took in 1973–74, shortly before he died. Installation view: "Larry Bell: Time Machines" at Institute of Contemporary Art, Miami. Nov 1, 2018 – Mar 10, 2019. Photo: Fredrik Nilsen Studio. Chicago-born, New Mexico-based artist Larry Bell has not had a comprehensive survey in a US museum in nearly two decades. The ICA Miami is rectifying that with Larry Bell: Time Machines. 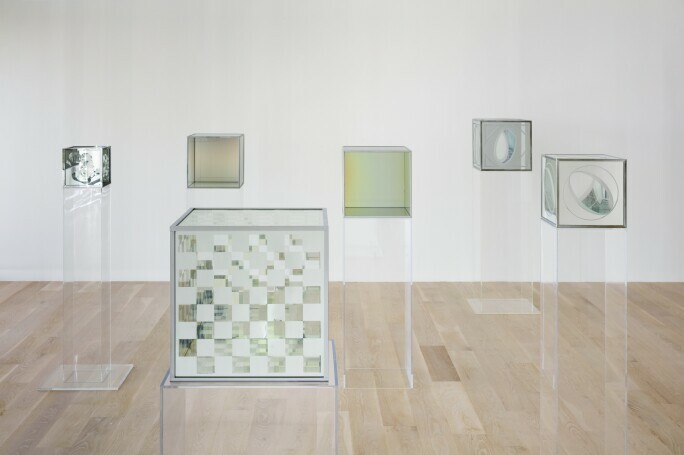 The show features his trademark cubes constructed from panes of smokey-looking panes of glass, as well as immersive works such as Black Room, last shown at New York’s Museum of Modern Art in 1970, and his only water sculpture, Hydrolux, 1986, which has been fully restored for the first time in almost 30 years.